1 jumbo muffin pan with 6 wells. 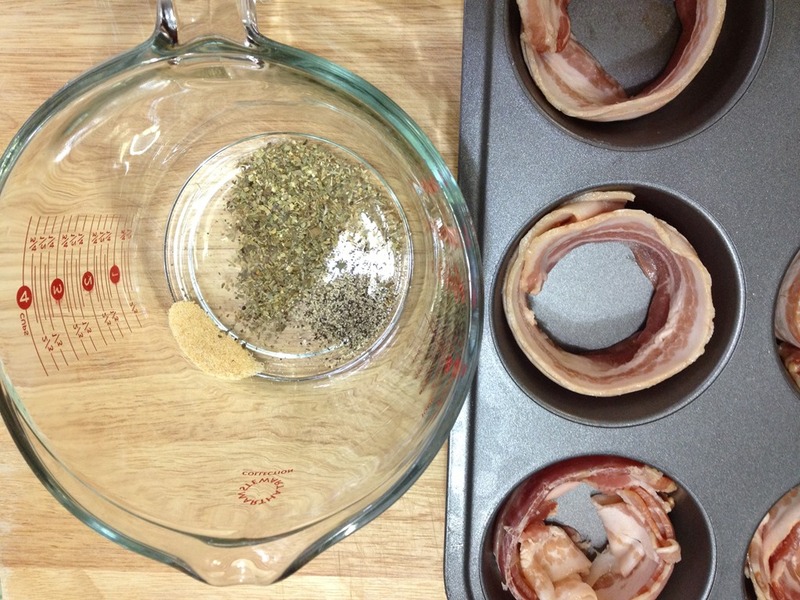 Place two strips of bacon in each well of the jumbo muffin pan. It works well if your bacon is slightly frozen. Place the seasonings in a large measuring cup. 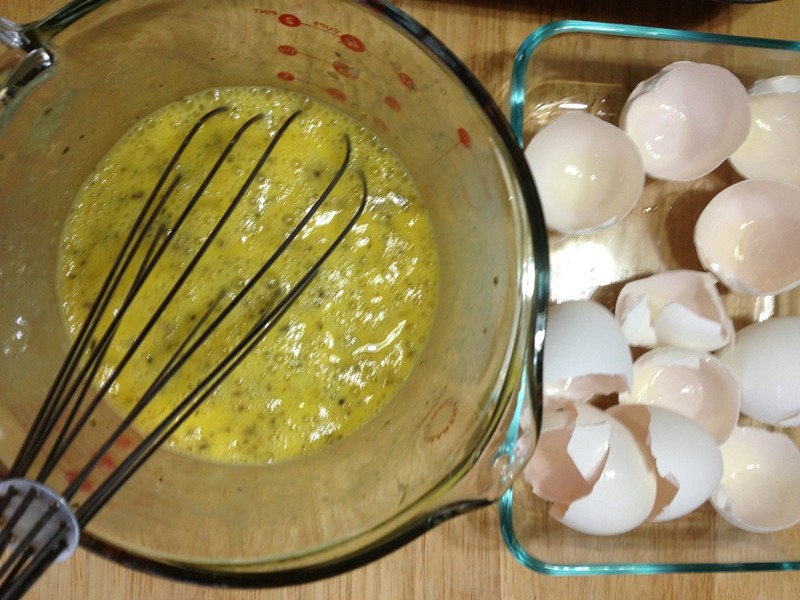 Crack the eggs into the measuring cup and whisk them well until well incorporated with the seasonings. Pour a forth of a cup of egg mixture into each well of the muffin pan. 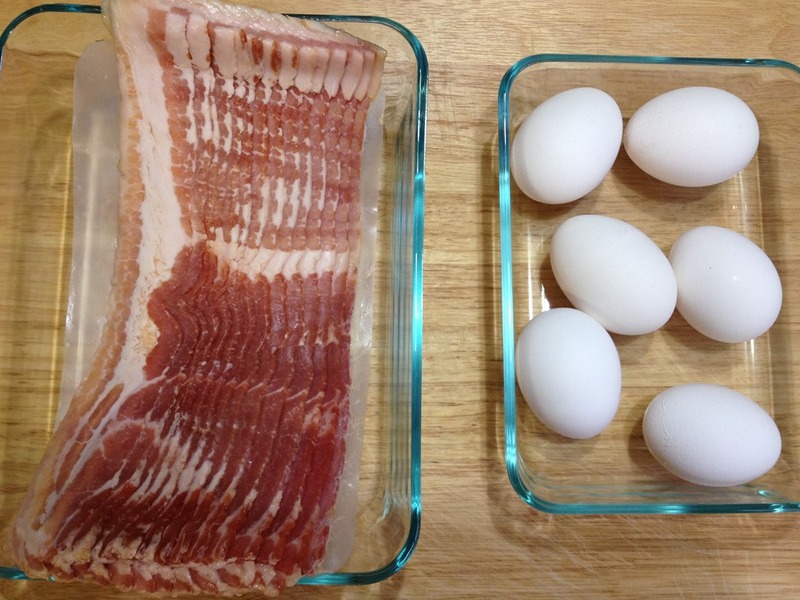 Place into the heated oven for 20 to 25 minutes or until eggs and bacon are cooked well, eggs no longer runny. Remove from oven, plate and serve. 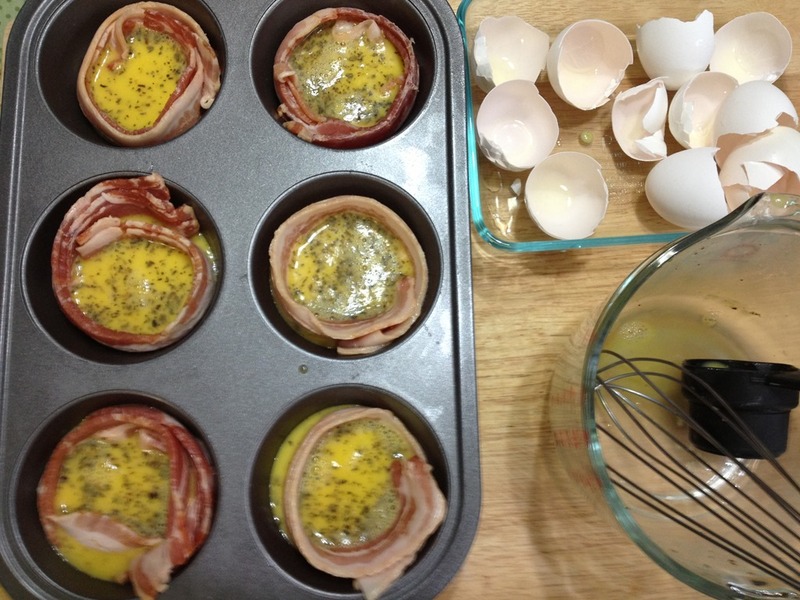 Pour a forth of a cup of egg mixture into each well of the muffin pan. Place into the heated oven for 20 to 25 minutes or until eggs and bacon are cooked well, eggs no longer runny. Remove from oven, plate and serve. Tortilla Hash-brown Egg Nests with Bacon, Queso Manchego, and Tomatoes. 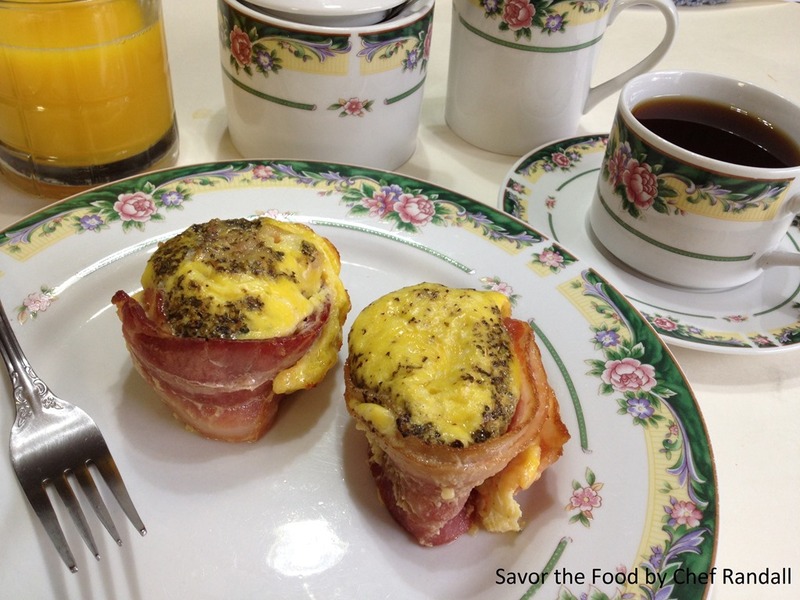 This entry was posted in Breakfast and tagged Bacon, Black pepper, Casserole, Cook, Garlic powder, Home, Oven, Seasoning. Bookmark the permalink.